Linden youth were very upbeat after being told about the many benefits that can be derived from Guyana’s developing oil and gas industry and how they can pursue the career of their dreams. Scores of mostly Fourth and Fifth Form students who attended the forum were told that since the industry is a multi-faceted one, they can still follow their career paths. Sharing these sentiments were members of the panel: Director of the Department of Energy (DoE), Dr. Mark Bynoe, Director of Youth Melissa Carmichael, Director of Sport, Christopher Jones, Advisor to the Department of Energy, Matthew Wilks and TVET expert Floyd Scott, amongst others. In his address, Dr Bynoe corrected the myth that the industry will only maximise on technical and engineering skills. He said there is an equal need for soft skills such as accounting, marketing, agricultural and hospitality among others. According to the director, one does not have to be directly employed by ExxonMobil and its main contractors, the Department of Energy or even the Ministry of Natural Resources, to benefit, but can even become an entrepreneur and provide services to these high-level agencies in the industry. “Remember that whatever you are pursuing, be the best at it, the resources that will come from oil and gas will still facilitate whatever dreams and aspirations you may have,” he said. While the youth present would have already gravitated to particular career streams, Dr. Bynoe said that objective is to choose a career path from the lower levels of school since this would enable the student to be better grounded in their choice. He advised that when making such decisions, they must consider their strengths, weaknesses and how best their choice will benefit their country. Dr. Bynoe urged the students to be persistent when seeking information, which the Department of Energy will readily make available and from which they can select topics relative to oil and gas for their School-Based Assessments (SBA). This, he said, will be a perfect opportunity to get be integrally involved and informed. “So, it is important that as you move forward, you are not just narrowing yourself to one specific source of information and that is Facebook or Twitter,” he said. The director also explained that since the oil and gas industry is a new one, it needs capacity building and therefore all efforts or attention should not be placed solely on skills needed to extract the oil, but all that will support what is to come from that extraction. 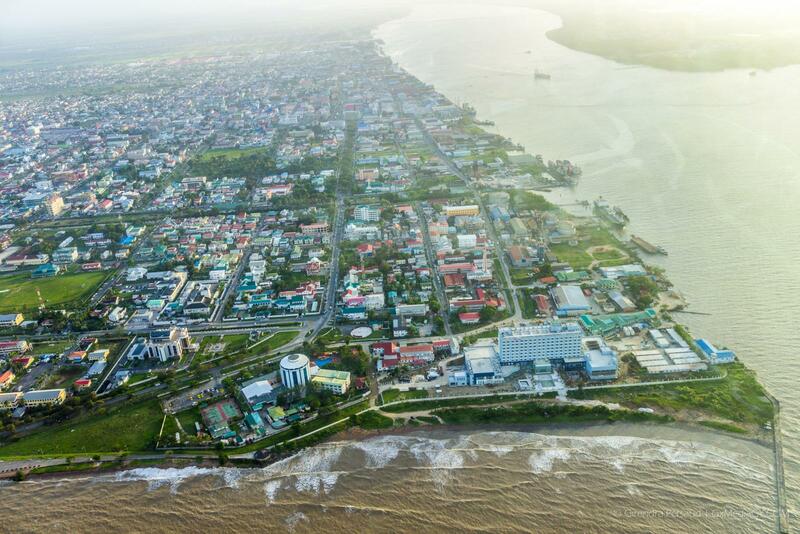 The youth were informed that from First Oil in 2020, Guyana is expected to earn approximately $63Billion (US $300M) which will rapidly increase as production grows. This money, Dr. Bynoe explained, will be used for the expansion of various sectors and notably, these sectors will require qualified persons. He told the youth that even if they remain in their home town, they can benefit from the industry as the entire country will be on a trajectory of development. 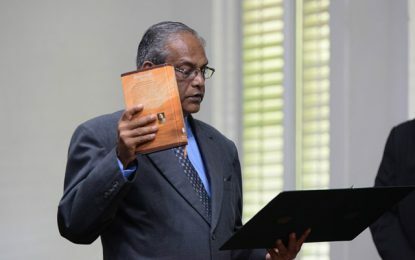 “We need to start planning for what is to come, it cannot be done through wishful thinking, so even as young people, it is not too early to start asking, what do I want Linden to look like and by extension, what would I want Guyana to look going forward… Remember, when you benefit, the country should also benefit, when you excel, the country should also excel, when you are successful, the country should be able to succeed,” he urged the youth, adding that their future does not rest outside of Guyana, come 2020. Dr. Bynoe left the students with the motivational advice to pursue their dreams and remember their career is a journey, not a destination and they must always work with a plan. Most of the questions asked by the young people related to ways in which they can benefit from training, funding provided by the Department of Youth and how the extraction of oil will affect the environment. They informed that the Department of Energy is mulling a mentoring and an internship programme. To benefit from this, they were urged to get involved in voluntarism. For those who were desirous of pursuing a career in the technical and vocational field, TVET expert Floyd Scott related that the Council for TVET will also support their pursuits.